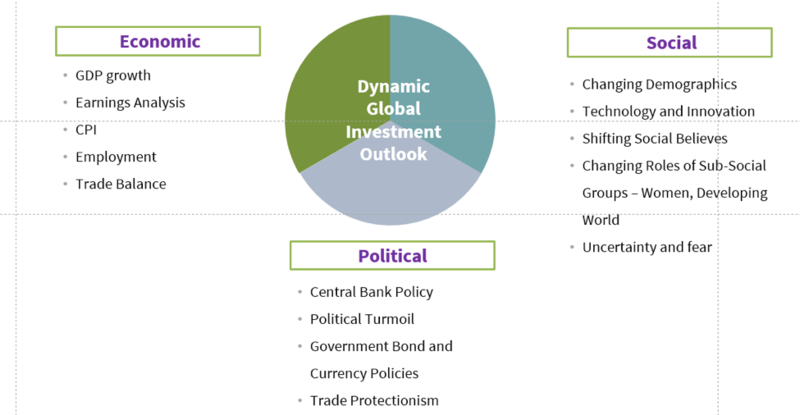 Economic Drivers: Most macroeconomic investors looks at inflation and growth to understand how bonds and equities will perform. For example Greenline Partners, employs a passive, diversified, long-only portfolio that does not apply leverage. According to Greenline Partners, stocks and bonds perform differently in varying economic environments. Most risk parity models similar to the Greenline Partners strategy assume that stocks and bonds will be correlated in periods of economic growth and inversely correlated in periods of inflation. Economic growth shocks historically raises the correlation between bonds and equities, since stronger economic growth will have a direct positive effect on expected dividends but only an indirect effect on interest rates, hence possibly boosting stock prices. In low productivity environments and falling growth, correlations also rise but prices move downwards. 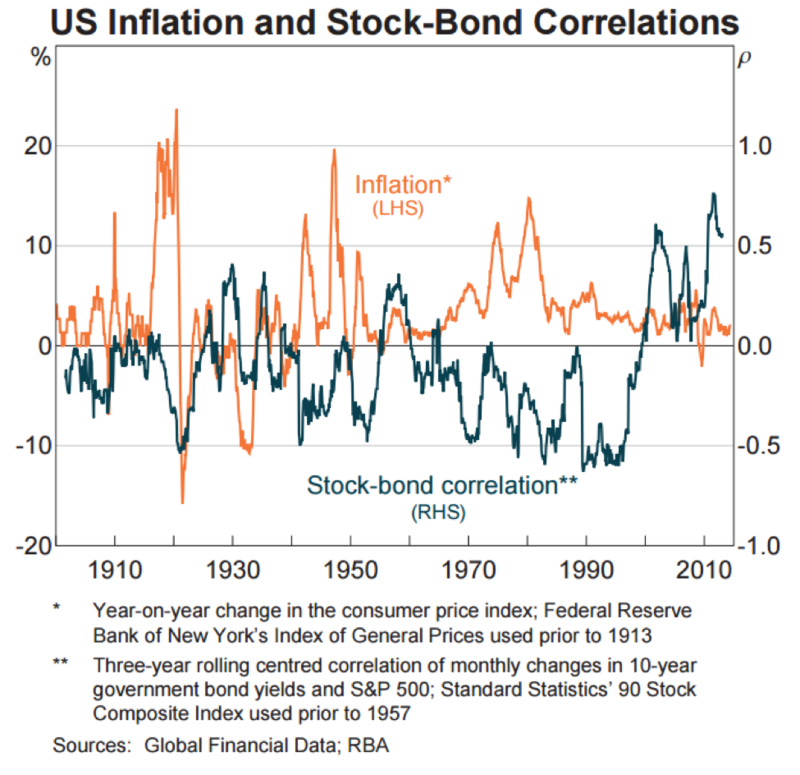 Alternatively, inflation shocks plausibly lower the correlation, since higher inflation directly raises interest rates and bond yields fall. Simultaneously, the positive effect on expected dividends could be muted to the extent that the increase is attributable to supply factors or that inflation has a negative impact on growth. Thus inflation can have either positive and negative impact on stock prices. Political Drivers: Direct and indirect government intervention in market pricing often has a greater impact than purely economic fundamentals and understanding bond and stock correlation in absence of government economic policy could be misleading. After 2009, the U.S. Federal Reserve decisively implemented an unprecedented program to buy immense amount of bonds, $25 billion month after month, in an extraordinary effort to restart a recession-shocked economy. The program came to end in October 2014 after adding more than $3.5 trillion to the Fed’s balance sheet – an amount roughly equal to the size of the German economy. The unprecedented QE program propelled equities up and bond yields down increasing the correlation between equities and bonds.